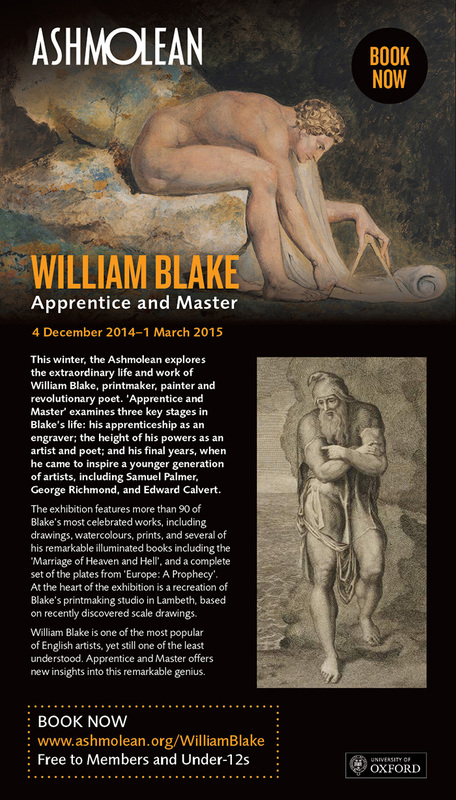 An exhibition curated by the Blake scholar Michael Phillips is opening at the Ashmolean in just over a month and will run until March. It will contain works from a number of institutions, as well as a recreation of Blake’s studio from his time at Hercules Buildings in Lambeth. There are lots of associated events being planned, most notably an Inspired by Blake festival in Oxford for two weeks in January.